The moment that you decide to quit smoking, you’ll probably gain a dedicated group of cheerleaders. Smoking (and other forms of tobacco use) is one of the leading preventable causes of death in the country. In light of that fact, your friends, loved ones, and coworkers will want to support you in your efforts to quit, and will likely provide you with the patience and motivation that you will need to succeed. You should be aware that your support group extends well beyond your friends and family. It also includes your periodontist. 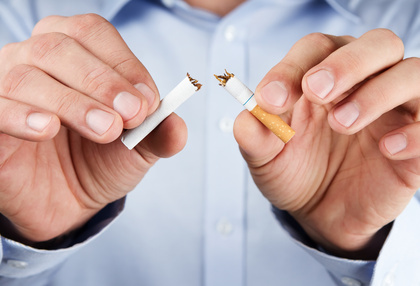 Periodontists and other oral healthcare providers are trained to educate you about the oral health risks associated with smoking and they can also partner with you as you quit. 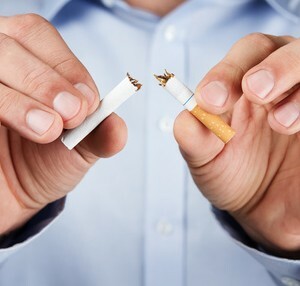 If you have been prescribed a medication such as Chantix or Zyban as a part of your smoking cessation program, it is imperative that you disclose this information at your next dental visit. Research has shown that these medications can significantly increase your chances of success as you quit smoking. But, without a complete disclosure of your medical history, these medications may contribute to a number of unusual side effects. There is a well-documented risk of mental or psychological side-effects associated with these medications, and your periodontist is trained in the management of the conditions that may arise as the result of prescribed medications. Your disclosure of your health history will also help to prevent drug interactions with other medications such as pain relievers and anti-anxiety agents that could be prescribed in the dental office. Ultimately, the benefits that accompany medications like Chantix can outweigh the risks associated with tobacco use. Severe discoloration, gum disease, and oral cancer are the known consequences of tobacco use and your dental specialist is an expert at diagnosing and treating these conditions. If you would like to discuss your Chantix prescription and your interest in smoking cessation, contact the office of Drs. Edward Gottesman and Susan Karabin for a consultation today. Call 212-756-8890 to schedule your visit. This entry was posted in All, Blogs, Periodontal (Gum) Disease, Periodontist, Smoking. Bookmark the permalink.